Bert Rodriguez, In the Beginning . . . , 2008, mixed media and performance. 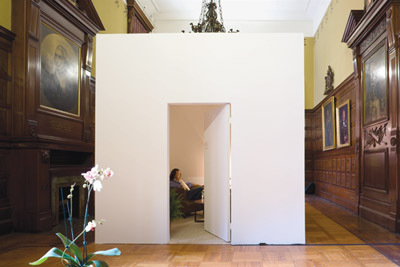 Installation view, Park Avenue Armory, New York. From the 2008 Whitney Biennial. Photo: James Ewing. Order the PRINT EDITION of the September 2008 issue for $17 or the ONLINE EDITION for $5.99.